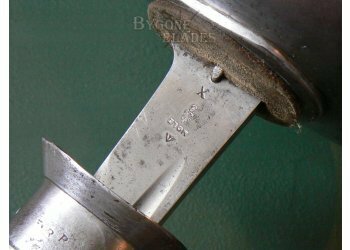 This fantastic P1908 cavalry sabre is regimentally marked for one of Britain's most prestigious cavalry regiments within the Household Cavalry, specifically the Life Guards Regiment. The guard is stamped with the regimental mark for the 2nd Life Guards and the weapon number. 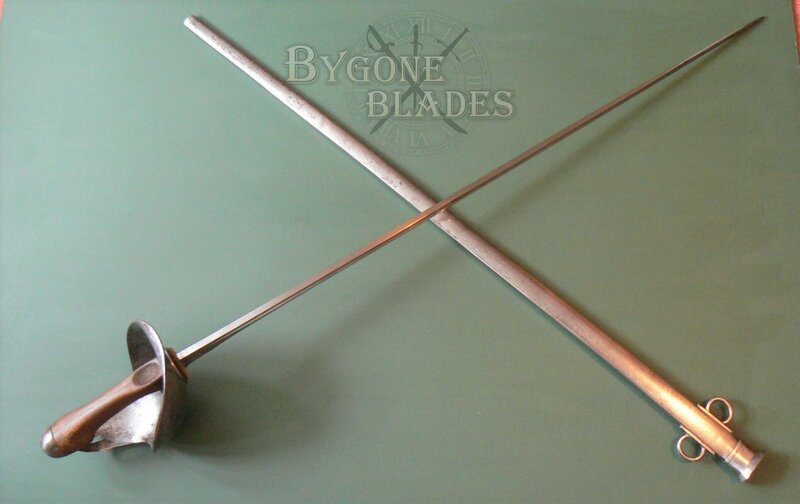 Until August 1914, the Life Guards were stationed at barracks in Hyde Park, undertaking Royal guard and ceremonial duties. 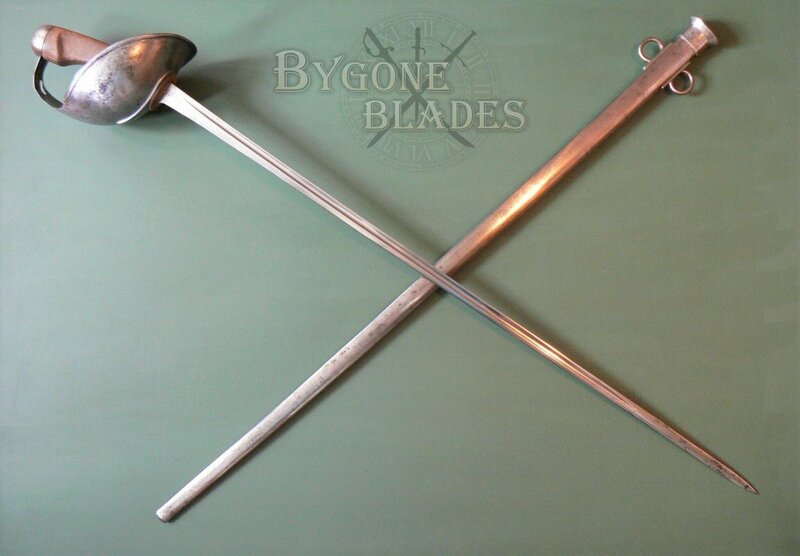 The Life Guards, despite being the principal mounted guard of the monarch, were also an active service unit and soon after the declaration of war in July 1914, the 2nd Life Guards left for France. 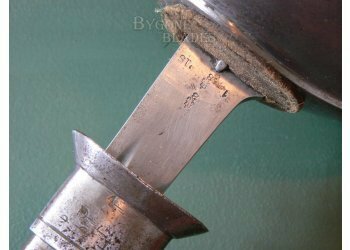 The sword is in over-all excellent condition for its age and service. 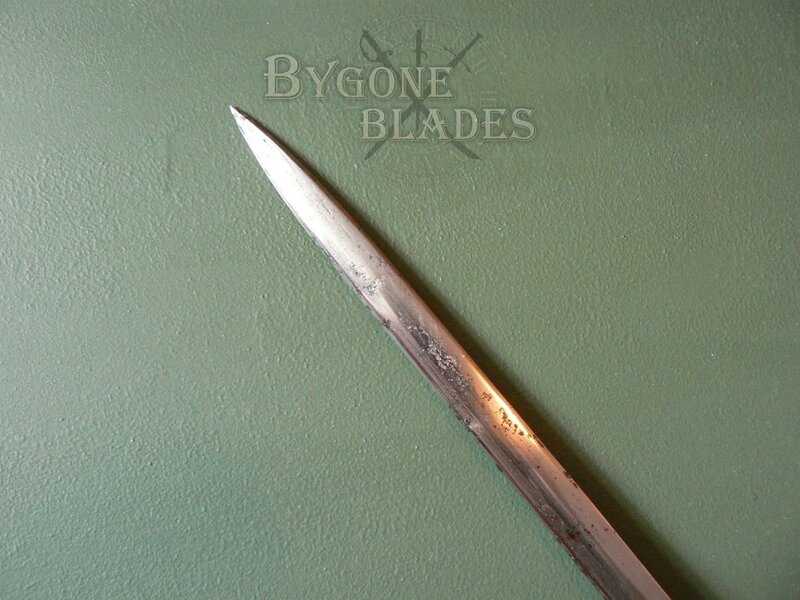 The 89 cm blade is bright and clean with minimal tarnish at the point. 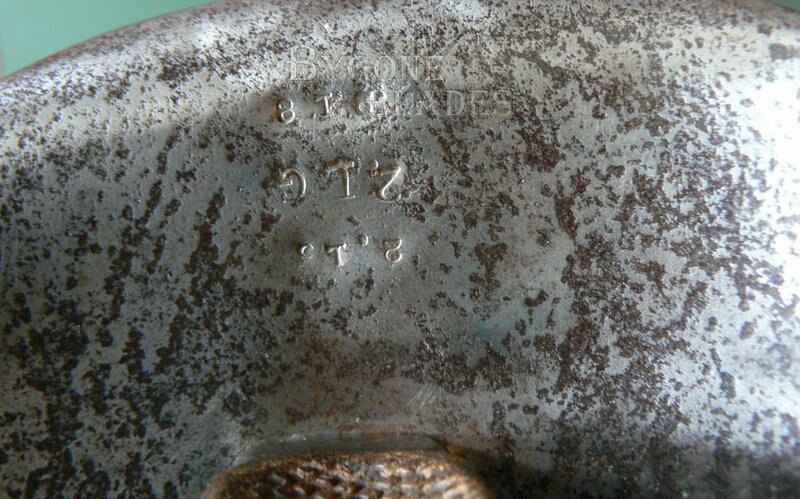 The ricasso is clearly marked with the Mole maker's mark, for Robert Mole of Birmingham, the British War Department arrow, bend test mark and various inspection stamps as well as its month and year of manufacture, January 1915. 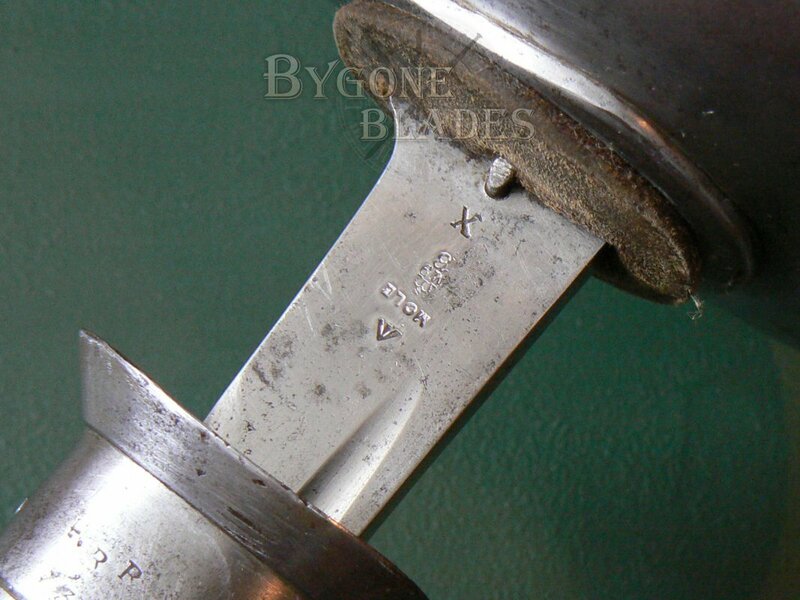 The spine is marked with the designation P'08. 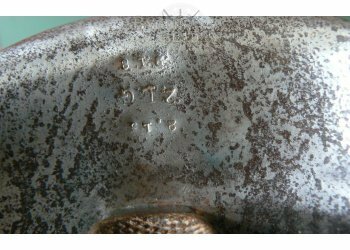 The front of the steel bowl guard is marked with the Mole stamp as well as the War Department arrow and an inspection stamp. 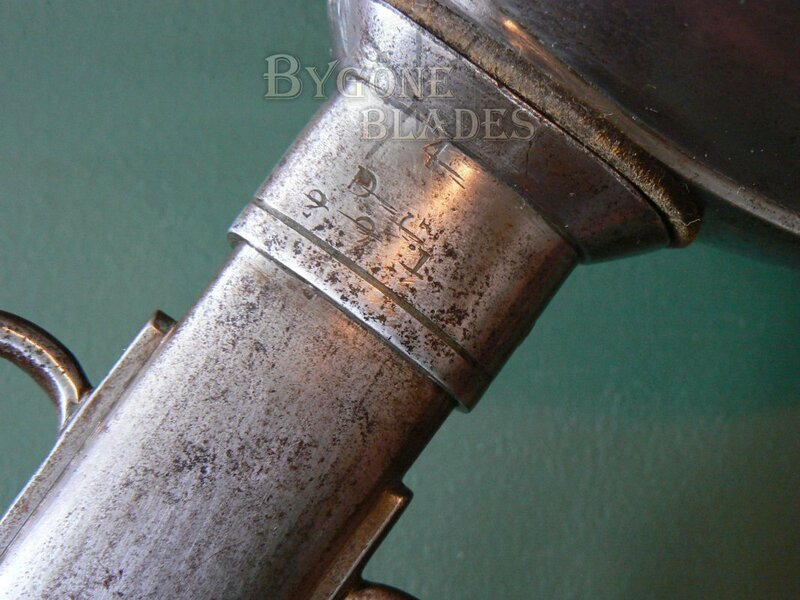 Inside, the guard is marked for the 2nd Life Guards. 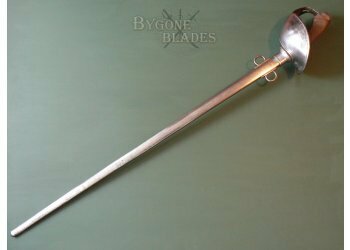 The bowl is in good condition with mild age related tarnish (which could be easily polished out) and a minor dent on the bottom of the guard near the pommel. 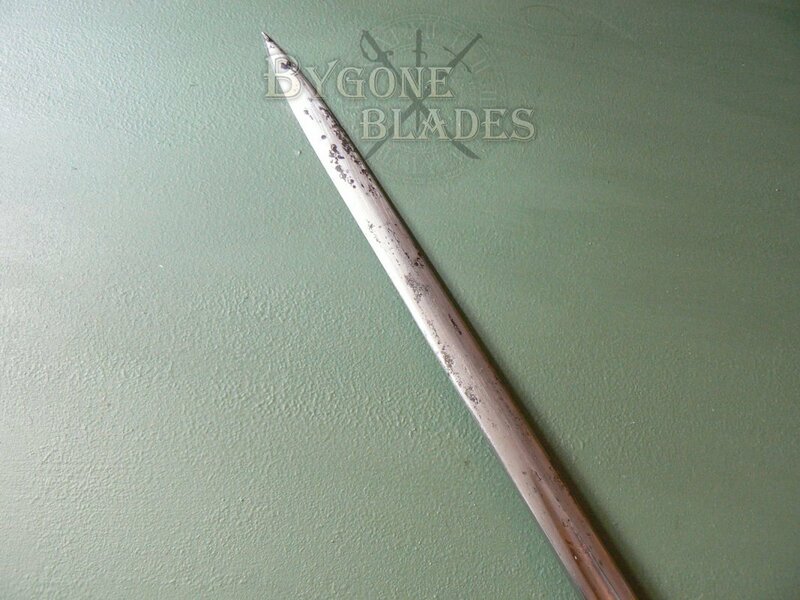 The steel is mostly bright and is rust free. 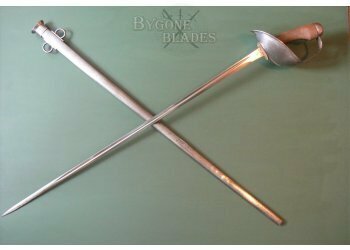 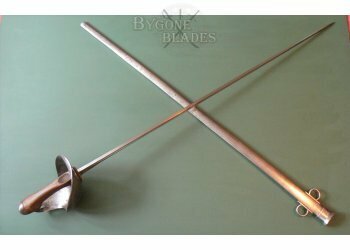 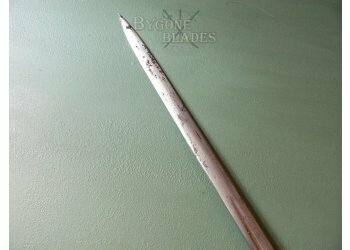 The steel scabbard is in great condition and free from dents or damage. 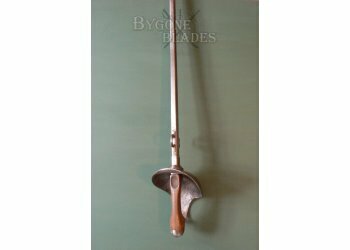 The sword is held firmly within the scabbard and draws smoothly. 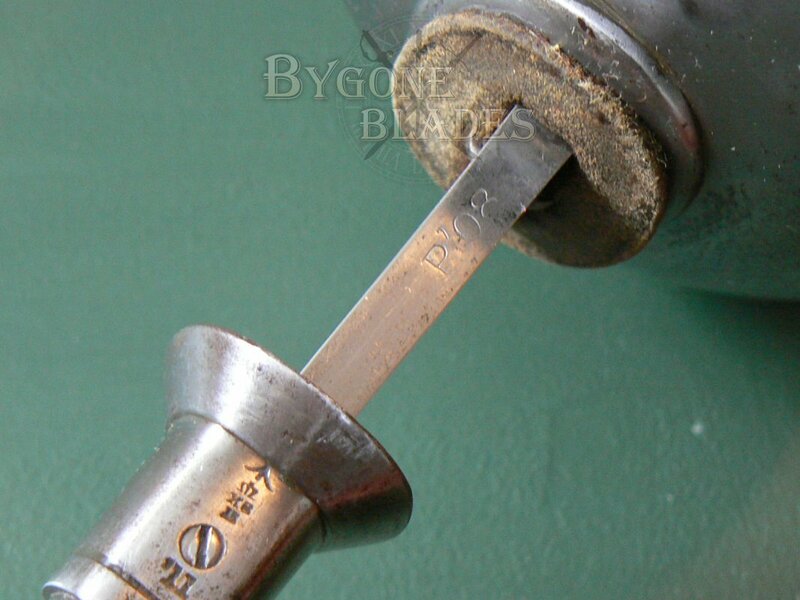 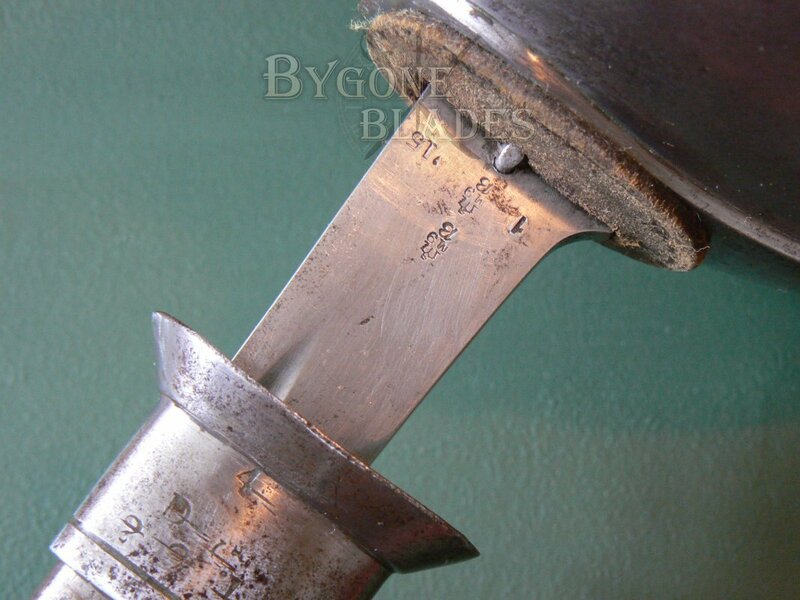 The steel of the scabbard is bright with minor age related tarnish most of which could be polished out if desired. 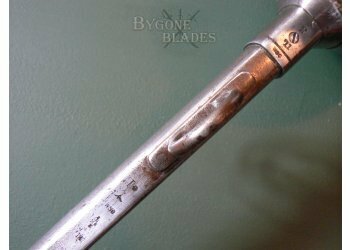 The scabbard bears the usual pattern markings, War Department ownership and inspection marks and the date stamp for 1911. 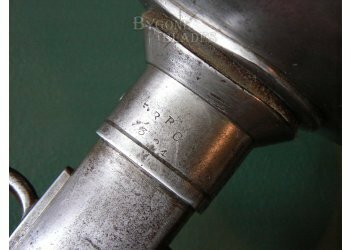 The throat of the scabbard is marked for the 4th (Royal Irish) Dragoon Guards, another Household Cavalry Regiment and the obverse of the throat is marked for the Reserve Regiment of Cavalry who were responsible for training the 4th Dragoon Guards during WW1. 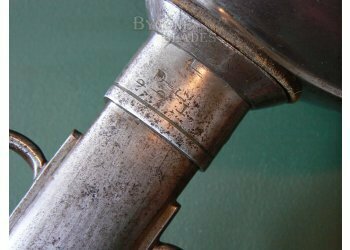 The 4th Dragoon Guards and the 2nd Life Guards were both regiments within the Household Cavalry Composite Regiment formed at the start of WW1. 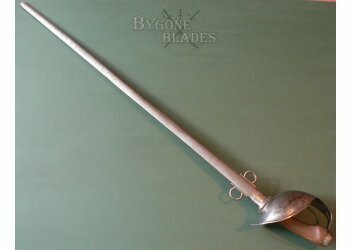 The opening weeks of the war saw cavalry at the forefront of the action with plenty of opportunity to use their new P1908 sword. 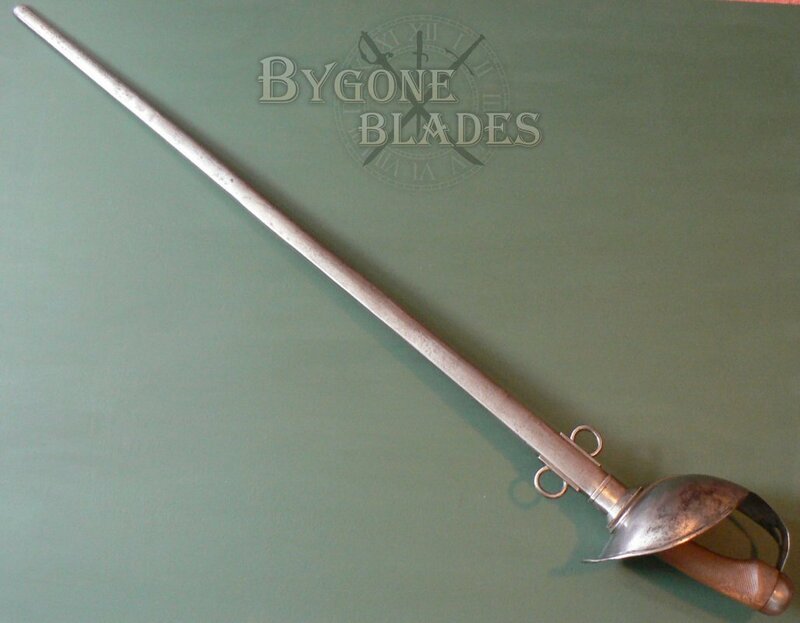 It was with a sword of this type that the first British kill of the War was made, by Captain Hornby of the 4th Dragoon Guards, in a skirmish with the German 4th Cuirassiers. 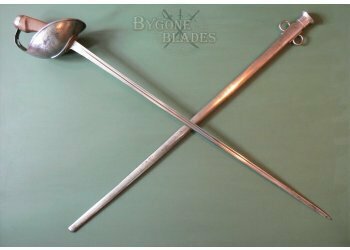 Although the scabbard is an earlier production than the sabre, they are both from within the Household Cavalry and both WW1 issue. 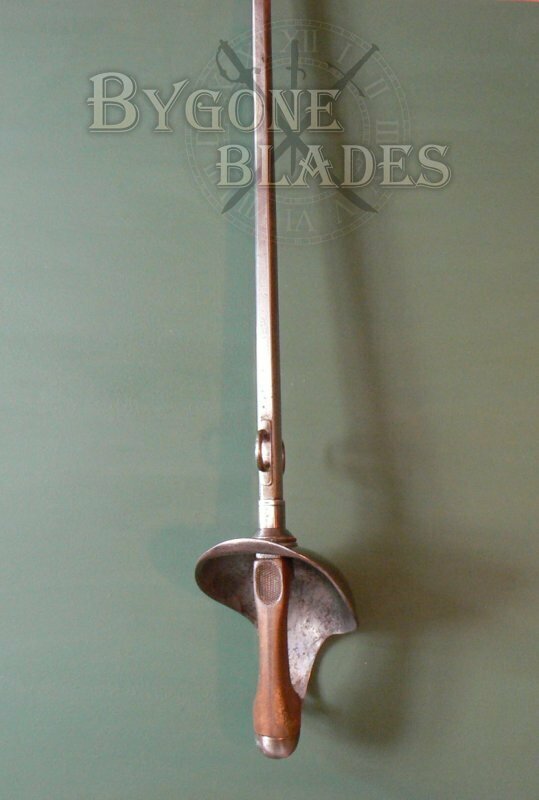 This is a fantastic and very prestigious British P1908 cavalry sabre regimentally marked for two of the most prestigious cavalry regiments of the British army, both of which distinguished themselves during World War 1 as part of the Household Cavalry Composite Regiment. 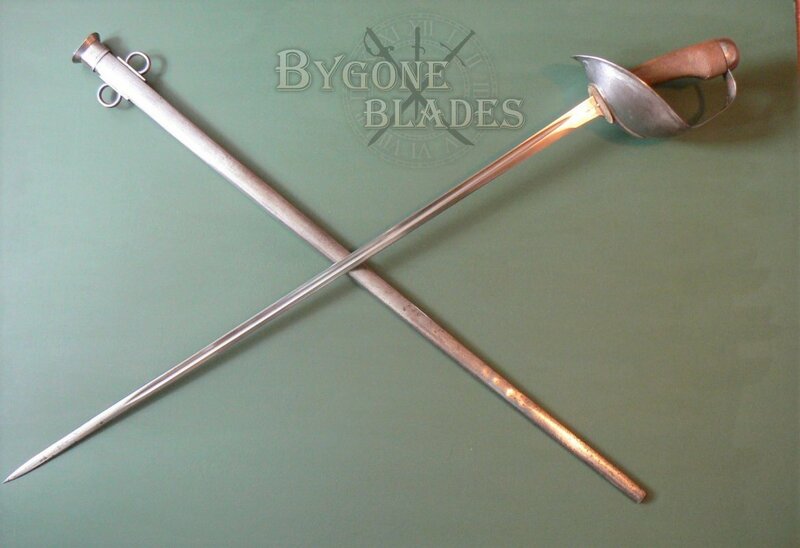 Swords with as prestigious a pedigree and as historically rich as this are not easy to find.